Well, I'm not so much planning as pre-planning (if that's a thing: the plans you make before planning). 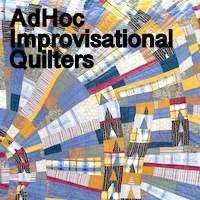 While I might normally have been kicking off another round of piecing about now I am waiting for next week, when the next AHIQ invitational will get going. WHile I wait I am playing around with groupings of fabric. I have two piles of shirts (3 or 4 in each pile) I would quite like to get to grips with. One is mostly blue/turquoise and red while the other is centred around a stripe of purples, dull yellow and blues. I've been pulling stuff from boxes, to see what I can come up with. Excuse the blur - photos were taken on my phone so I didn't notice they were rubbish until they were on the computer and it was too late. You get the gist, though. I have no idea yet which of these I'll go on with; it may well come down to my mood on the day. While I was building these piles I realised that the way I currently sort and store my fabric doesn't help me at all. It used to be all jumbled - any mix of colours and patterns in a box, willy-nilly. Last summer I decided to be better organised and sorted everything by colour but you know what? I find it much harder to work with now. It takes me much longer to find things I like; it even takes me longer to find specific lengths of fabric that I know must be in a particular box. My brain obviously just functions more happily in chaos! So I will slowly allow myself to reverse last summer's work. Now when I take a fabric out, I am not putting it back where it came from but just adding it to whatever box comes to hand first. I am embracing my chaotic mind! I will look forward to seeing which one you choose to work with. I have to say I really like the lovely stripe combo! How we store our stashed fabric is such a personal thing - and even then it becomes a moving target. Glad you are embracing where you are now. I enjoy that we are all different when it comes to our needs for organization and storage. I am personally really drawn to the second color grouping here and look forward to seeing what you decide to use! Quilt teacher Gyleen Fitzgerald said on a TQS episode that she just throws fabric in a box until it gets to the right weight, and then challenges herself to make a quilt from only what's inside. It works for her! Colour sorting does work best for me, with a couple of boxes that are sorted by manufacturer. The big challenge is always to sort the fabrics back in when I'm done! I love the reds, and that you are good with chaos. I think I read in a psychology journal some time ago that messy works better for some creative processes. It makes me smile and laugh that you don't continue to try to bend and shape your process into a box.... there is a pun in there somewhere lol. 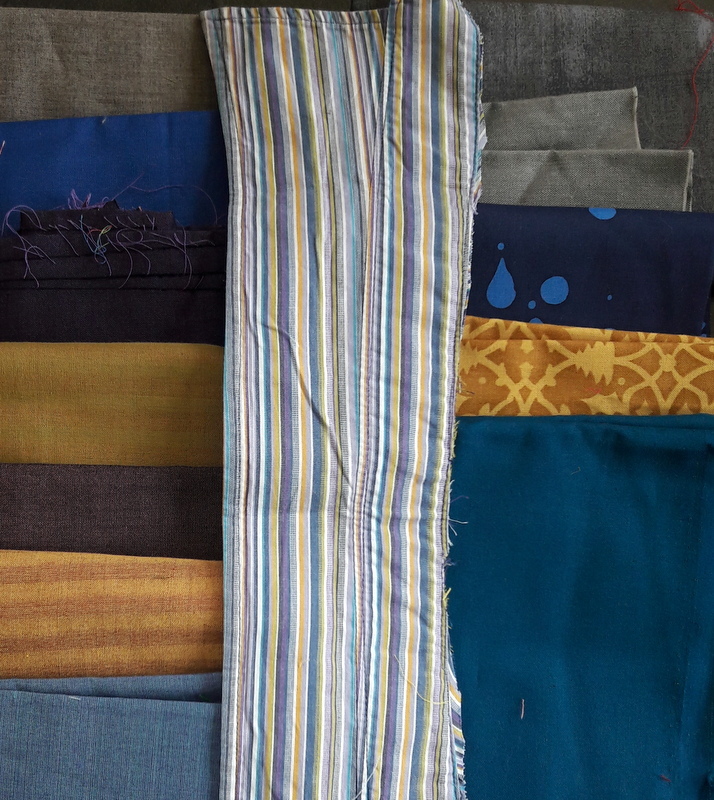 I don't think I have ever pulled and grouped any fabrics for a project to look at them all together to see how they look. I pull as I go. And I store most fabric in mismatched piles except for some that are stored as themes = farm, garden, tea, roses, food, 30s, civil war, etc. Scraps are sorted by size, not color - 1.5, 2.5, 3.5, 4.5 and chunks. I hate putting things away (time waster) so have piles everywhere. It may look to some like I'm a hoarder but I like having everything out where I can see it and not hidden away. My desk at work used to be the same way..I never put anything in a filing cabinet but in a pile on my desk but could pull a document, if asked, from the proper messy looking pile. Fun, color dreaming and planning. Well my stash lives in large wire pull out baskets, then I have boxes with fat quarters or less, all supposedly colour co-ordinated, then smaller boxes with tiny bits - these will shortly be given away as I have a mental block when working these tiny pieces and arthritis in my hands doesn't help any. I love your "pre-planning" strategy, perhaps I should try this and save time when I actually get down to planning properly. Nice choice of fabrics there Kaja - looking forward to your idea for the invitational. I like both of your piles. Both of them will make very cool quilts. I have a spare bedroom where I keep all my fabric. I have my pretty much sorted by color or theme, but not to the point where it is obsessive. I see posts where people have spend extraordinary amounts of time making their spaces ultra organized and perfect. That might work for some but I like a bit of chance thrown in and spend my time creating instead of organizing. It makes me smile to read about the "wandering " of your fabric. It has its own plans to be stored. I always try to start well organised and end in chaos. I'm searching for little snippets on my table and find other ones that fit better. That makes me happy. That's the process. I like your first fabric pile, with the pops of red! Looking forward to seeing just what you have in mind for AHIQ! Oddly, I like the colors of the first pile but prefer the second pile because, I think, it coordinates better. But you like a little twist of some sort, so go with the one you're in the mood for. I started a green scrap quilt today. It's coming along well, but goodness I have lots (and lots) of scraps. I do "organize" my fabric by color but "organize" loosely means piled up. They were neat and folded but wow I can make a mess of things. And I refuse to pull everything out and refold. I think I like a little chaos. Digging through the piles means I might find something interesting. You never know what surprise might be unearthed! 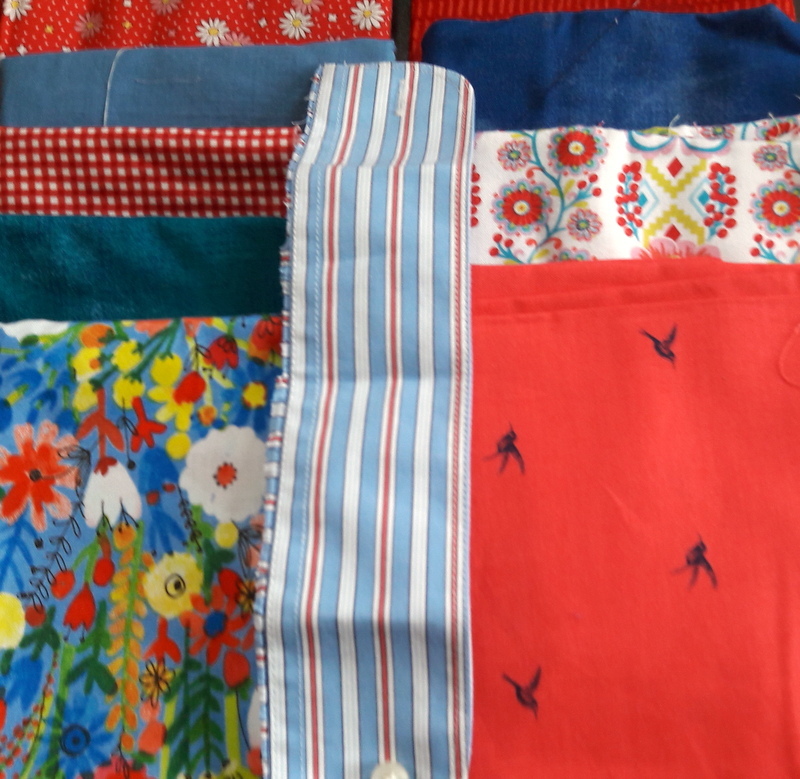 My scraps generally all live in a bag all jumbled up and my fabrics grouped by collection or odd fqs by colour or theme . Most of my photos are iPhone and most of my photos are crap . I should get my camera out again but my laptop doesn't have a card reader . Easier to use the iPhone ! I like the first photo best, too, because red is my favorite. But I love the shirtings you've been using. My husband has very quiet shirts. The ones I've pulled are mainly solids. I'm trying to talk my sons out of some of theirs... Maybe next year. Ha! Tuesday will be a treat, Kaja.